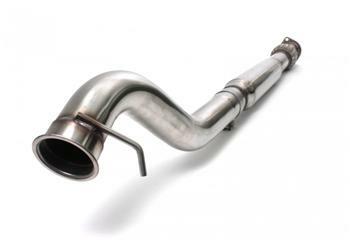 Perrin MidPipe - Dezod Motorsports Inc - Home of the automotive performance enthusiast since 2002. Bolts to factory down pipe and muffler for a stealthy & quiet 3” exhaust system. Our Y-pipe spliter features two slip joints which let you adjust muffler location and tip placement to perfectly sit in your bumper cutouts.